RORY McILROY’S JOURNEY TO CHOOSING TAYLORMADE. It was 8:00 AM on a Sunday in April. 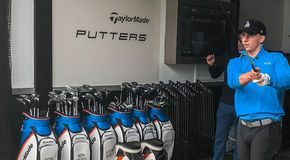 Three of TaylorMade’s leading product experts and Tour representatives had just arrived at The Bear’s Club in Jupiter, Florida for equipment testing after making a cross-country flight. Positioned on the range of the gorgeous private club, Keith Sbarbaro (VP of Tour Operations), Brian Bazzel (Senior Director of Metalwoods Creation), and Eric Loper (Director of Golf Ball R&D) were set up for an in-depth equipment fitting with one of the world’s best and most accomplished golfers, Rory McIlroy. At the time, McIlroy was in the final stages of making a major decision regarding his commitment to new clubs and a new golf ball. Less than a month later, news broke that McIlroy had signed a multi-year, 14-club plus golf ball contract with TaylorMade. 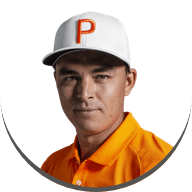 As a result, he joined an elite Tour staff that now includes the top-3 players in the world, the 2017 Masters champion, a gold medalist, and the hottest rookie on the PGA TOUR. To get the complete story on how McIlroy came to choose TaylorMade over the competition, we had a conversation with the three people who helped seal the deal that Sunday at The Bear’s Club. 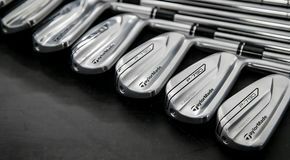 Sbarbaro: “I think every manufacturer sent Rory equipment pretty soon after the announcement that Nike was getting out of hard goods. This was an unexpected opportunity. But as soon as that announcement was official, I made the call. I just wanted Rory and his team to know what we thought of him and how much we'd love to have him playing our stuff. If you asked me a year ago, I would've never thought it was possible to have Rory McIlroy in TaylorMade equipment—he was going be in Nike clubs his whole career. We had sent him some equipment—the first TaylorMade clubs he tested were our metalwoods. At that time, 14 of the 18 Nike players had already switched to our driver, and we definitely made him aware of where his Nike colleagues were going. When I first saw Rory in person, he was on the range next to DJ… and Rory was joking with DJ saying that he had been “cheating” this whole time by playing an M driver. And in truth, Rory was picking up 15 extra yards of carry with his M2 and was excited to put it in play at the WGC-HSBC tournament in China. After the tournament, he called it one of his best driving events ever. Then he played in Dubai a few weeks later and had another great driving week. In his mind, the TaylorMade woods passed the test and he knew he could play them long-term. After that, there were conversations about all the equipment companies going to Dubai in December of 2016 to work with him. 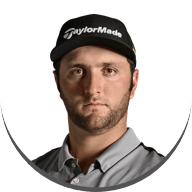 But after testing everything on his own, he had narrowed it down to TaylorMade and one other brand, but he didn't plan on making any decisions because he had a year as a free agent." Loper: “With every player, especially at this level, you need to have a strategy for evaluating new equipment. What does the player like and dislike about their current equipment? How do we want to talk about the key technologies that make the product perform? Keith and I sat down about two weeks prior to determine how TP5 and TP5x would benefit Rory. Bazzel: “I give Keith a lot of credit. This is what he does for a living and he's the best in the business. We didn't have the Tour Truck there, and he essentially brought a mobile Tour truck through an airplane. We had everything we needed to do a complete fitting. He did an incredible job preparing for the most elaborate one-person fitting that I've ever been a part of. Loper: “We knew going into the test that he wasn't happy with the Pro V1x—and he mentioned that during our test. His feedback on golf balls he's played in the past was that his Nike ball was pretty good in the wind, but it lacked control around the greens... the Pro V1x was better around the green, but it would spin too much and get held up in the wind. 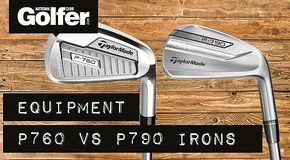 Every player has this challenge of using a ball that either has better iron performance at the expense of losing spin around the green or a ball with more spin around the green at the expense of iron performance—it's that choice. The benefit of TP5x is that it provides the greenside control AND the iron performance that players are looking for. You don’t have to make any sacrifice." Sbarbaro: “I think the initial ball test was the winning moment. The advantage our ball has is that it's so much better in the wind—what happened with his old ball at Augusta won't happen with TP5x. And we were able to show him that during testing. In his words, he was "shocked” at how good this golf ball is. It was by far the star of the day." Loper: “I've had quite a bit of experience working with our Tour players, and each of our Tour players has come from a competitor at some point. What I enjoy most is working with players when they are in transition from their old brand to TaylorMade because I know for a fact that our product can offer something more. 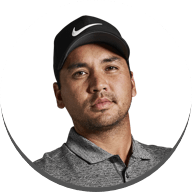 Bazzel: “As it relates to metalwoods and Rory, there are few golfers that seem to be a step above when it comes to driving the golf ball. DJ is one of them, no doubt about it. McIlroy as well—when you look at the numbers and his ability to overpower golf courses with his driver, his performance with the driver in his hands is insane. 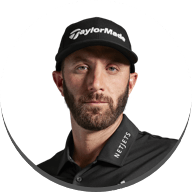 When you take arguably the best metalwoods on the planet and pair them with arguably one of the best players on the planet, it's a pretty powerful combination. 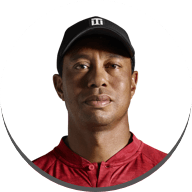 He left the fitting with a little bit more ball speed and the right launch conditions to ensure that his great shots were going to be great and his mis-hits were going to be as good as possible. At the end of the day, we had 10 driver setups that were within 1-2 yards of each other, but it's not just about maximizing distance—it's about how it reacts when you're trying a certain shot, what happens when you try to go after one... we did all of that. And he plays at a D8 swingweight, which is pretty heavy relative to the average Tour player. But we tried everything to see if we could pick up any performance and we concluded that D8 was the best fit for him. Sbarbaro: “When we sent him the new Rors Proto irons, he called them the most beautiful irons he's ever seen. They're like jewelry. And he didn't want to hit them because he knew if he hit them, he would want to play them and he didn't want to be changing things up that close to the Masters. 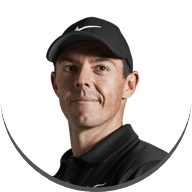 Bazzel: “I think another place where we started to shine as a potential partner for Rory was when we started testing utility irons in preparation for The Open Championship. We gave him an M2 driving iron and a UDI. As he hit both of those clubs, he was shooting looks back at us like, are you kidding me? Bazzel: “He is who he is. He is who people think he is. He is as genuine as they come. I was also really impressed with his ability to work the golf ball. He could sweep a draw with a driver with some significant curvature. At that speed, to be able to control it and curve it on queue was incredibly impressive. Sbarbaro: “Rory said it best, "I made the same mistake everyone makes. I defaulted to Titleist, assuming it was the best ball—it’s simply not." I think his bag is in the best shape it has ever been in and his excitement level is unbelievable.